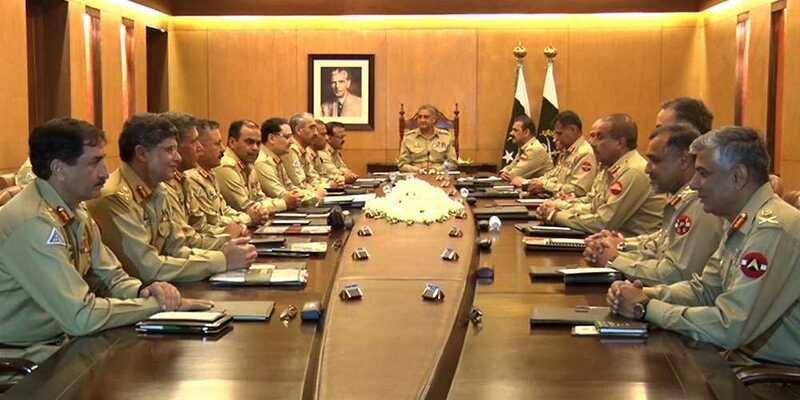 The Corps Commanders Conference on Tuesday discussed progress of Operation Raddul Fasal, according to the Inter-Services Public Relations (ISPR). In a statement issued by the ISPR, army commanders paid tribute to the martyrs of Pakistan on the eve of Defence and Martyrs Day. Chief of the Army Staff General Qamar Javed Bajwa, who chaired the Corps Commander's Conference, directed the field formations to reach out to families of martyrs in their respective areas as mark of respect acknowledgment of their great sacrifices.